For those of you who practise double cleanse, how many have realized by now it’s not exactly a cheap beauty routine? To make things worse, cleansers deplete very quickly. Perhaps you are resigned to the costs and have not explored other options? Well, if you’re thinking of new cleansers that are effective in double cleansing and are affordable, read on. I discovered Andalou Naturals last year on iHerb. When I say discover, I mean actually using the products. 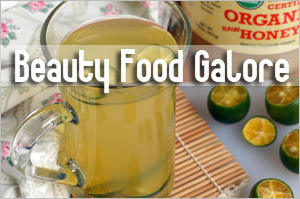 The brand is based in US and offers quite a comprehensive range of skin care, hair care and body care products that are formulated using fruit stem cell science. All their products are free of GMOâ€™s, petrochemicals, phthalates, sulfates, synthetic colors, dyes, fragrances, triclosan, PEG, MEA, TEA, DEA, or parabens. The brand isn’t certified organic but uses a minimum of 70 percent ingredients that are, on top of those that are verified gluten-free and vegan. 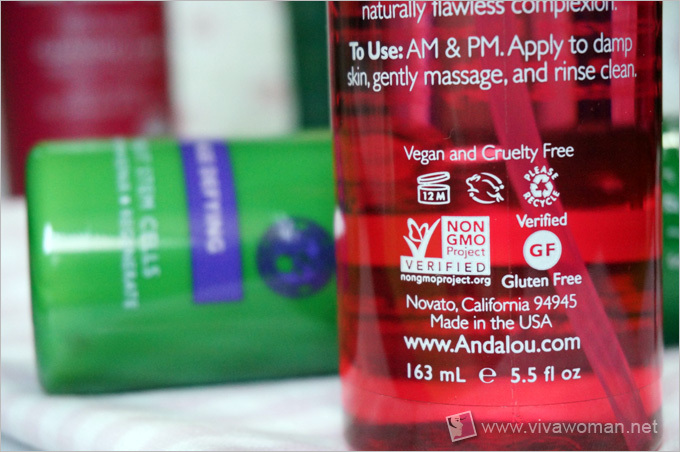 Andalou Naturals also adopts eco-friendly practices and a no animal testing policy. Regular shoppers at iHerb must have seen this brand one time or another and I am not surprised if some of you are already fans. For me, the first product I tried from Andalous Naturals is their Beauty Balm, which I have a review here. 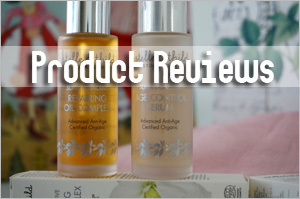 I then moved on to try their hair products which I’ve yet to review. Let’s just say they’re fine but not exceptionally exciting for me to want to share about them immediately. 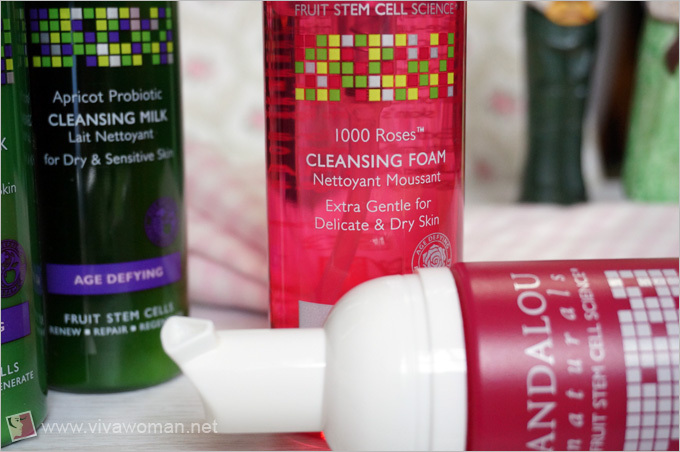 But I love these cleansers—the Andalous Naturals Apricot Probiotic Cleansing Milk and the Andalous 1000 Roses Cleansing Foam. The only reason I bought them was because of the attractive price point—they are both just a few cents over US$10. 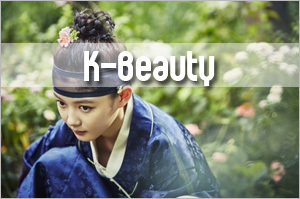 They are also well reviewed, both garnering ratings of 4.5 out of 5. 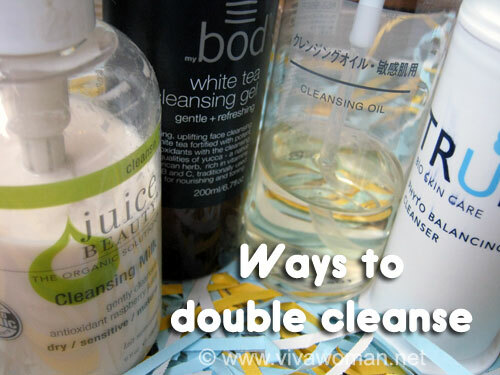 Before telling you how I feel about the cleansers, let me share more about double cleansing. The reason I double cleanse is because I find this routine, when done once at the end of the day, helps to keep my skin clean and healthy. This is because the first cleanse removes any makeup or excess oil from my face and the second, removes all the impurities completely. 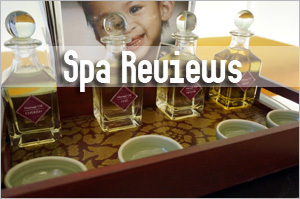 In case you haven’t noticed, most facial salons perform double cleansing too. There are different ways to double cleanse but my favorite is to use a cleansing cream or milk with a non-SLS formulated foam cleanser. 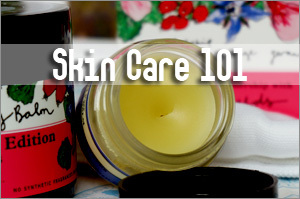 A cleansing cream or milk is more gentle to the skin and helps to remove makeup and excess dirt quite well. Some may feel it is not as effective as an oil cleanser especially when it comes to removing heavy makeup but I find using a cotton pad usually does the trick. Also, since it’s double cleansing, there’s always the second cleanse to take care of any remaining residue as the whole idea is NOT to have your face squeaky clean and stripped of all natural lipids. Also, some people find a foam cleanser very drying but that’s only when you use one containing harsh surfactants like SLS or SLES. Generally, those in the natural or organic category are not drying. This is a cleansing milk that feels more than a cream. It’s quite thick but isn’t too heavy. So about two to three pumps are sufficient for the first cleanse. The unique selling point of this product is it’s formulated based on fruit stem cell science and contains probiotic microflora to calm irritation and stimulate cell turnover. The cleanser is said to be suitable for those with dry and or sensitive skin but it works for my combination skin too. This cleanser has a sweet apricot scent which I like. This cleansing milk isn’t all that different from some of the others I’ve tried but neither is it as good as Antipodes Hallelujah Cream Cleanser. However, I like that it doesn’t leave too much of a greasy film after cleansing should you want to use it on its own. On the whole, it’s an affordable and functional cleansing milk with a clean enough ingredient list. I bought this because it’s a very affordable foam cleanser. If I’m not wrong, it’s quite a new product over at iHerb but the reviews are good. However, when I first used it, I hated it! At the first few usage, this foam cleanser came across so saccharine sweet that I almost choked! Are 1000 roses supposed to smell so sweet? I know rosa damascena is the second ingredient but the scent is so artificial and definitely far from being refreshing as described. I’ve used quality rose-scented products and they smell nothing like this! But smell aside, this cleanser has redeeming qualities. The foam is very dense and so one pump is sufficient for an effective face wash. I’ve tried a couple of foam cleanser but this is probably one of the best I’ve tried. In fact, the foam is so dense that you can feel a little “suffocated” with prolonged washing as the foam makes it impossible to breathe. Okay, that’s a bit of an exaggeration but I did have difficulty breathing when I had the foam around my nose. Even though it’s a foam wash, it doesn’t make my skin feel tight or dry even with its two surfactants—decyl glucside and sodium methyl cocoyl taurate. I suppose the emollient and moisturizing combination of vegetable glycerin, sorbitol and glyceryl cocoate help to counteract any dryness. Okay, I know my title is a misleading given that I said the 1000 roses were a noseful. But if you double cleanse and like the idea of a cleansing milk and foam cleanser, give this set a try. But be forewarned about the strong sweet scent! 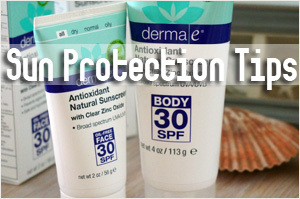 Both cleansers are formulated to be suitable for sensitive skin so I think they should work for most skin types too. Functionally, they both do an above average job of double cleansing and their price point makes them quite irresistible too. Like I mentioned, that was why I purchased them in the first place and it’s also why I bought my second set. Get the Andalous Naturals cleansers from iHerb. If youâ€™re shopping at iHerb for the very first time, you can enjoy US$10 off if your purchases are $40 and above (US$5 if below $40). Use my promo code OVO966 (affiliate). Hope you’ll like it if you do get it. Just be prepared that the smell of the foam cleanser is quite strong. I double cleanse too, using a cleansing oil and a facial wash. For most brands, doing this is not exactly cheap, but I’ve found my ideal option. Kose Speedymo Cleansing oil (stock up when I happen to go HK or TW) is 230ml (lasts about 4 months) and costs about S$11 and my facial wash is Himalayays Neem, which is less than $10 if you buy it in those neighbourhood toiletries shop (lasts me 6-8 months). Glad you found an affordable combination that works for you! I have always double cleansed my whole life. 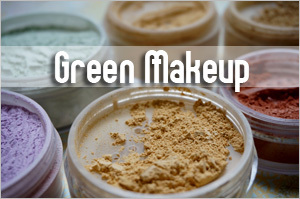 Thanks for the reviews and the code as I have been switching to ‘green’ more and more lately. 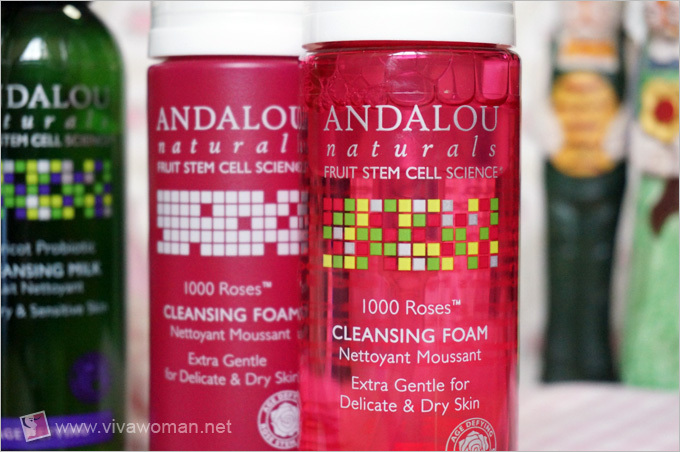 I’ve been using a number of Andalou Naturals products for the past year! 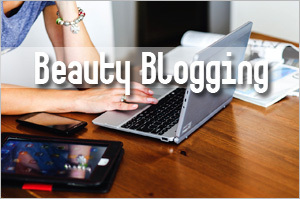 Love their enzyme and rose masks. Good choice! I cant tell hou what perfect timing this post was to me! Im about to ran out of my Cetaphil cleanser and was looking for a more green alternatives, which many happen to be out of my budget. This look like a great option. Have you tried out Acure cleanser, there is a cream and also gel one. They got some great reviews on Iherb. Hope to hear your opinions soon. I’ve not tried Acure’s cleanser. The only thing I’ve tried from the brand is their facial mask. 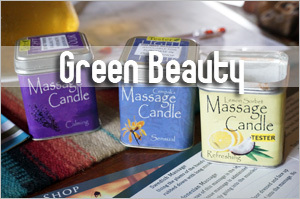 Try reading the reviews at iHerb for an idea. Good thing I read your review. I was about to buy the 1000 Roses day cream (for face) on iHerb. Now that you mention the smell, I’m having second thoughts. Have you tried it? No…how about reading the reviews to see if anything about scent is mentioned? This looks very interesting, I must try it, do they sell in UK? Not too sure…but it’s available at iHerb. This made me curious and I’m having thoughts of trying both of these products. Thanks Sesame! Hi Sesame, I was following your blog for a while. 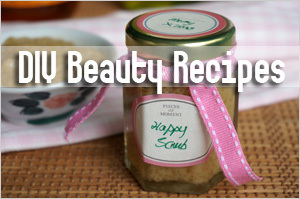 Currently, I’m looking for a natural face cream which I can got from iHerb, did you have any recommendation? I’ve oily and dehydrated skin, thank you! would you know whether the Rose Foam cleanser have a low PH? Am planning to switch to a low PH cleanser. By the way, where can I buy those litmus test paper? Are you based in Singapore? You can get it at Guardian pharmacy. I got mine there. 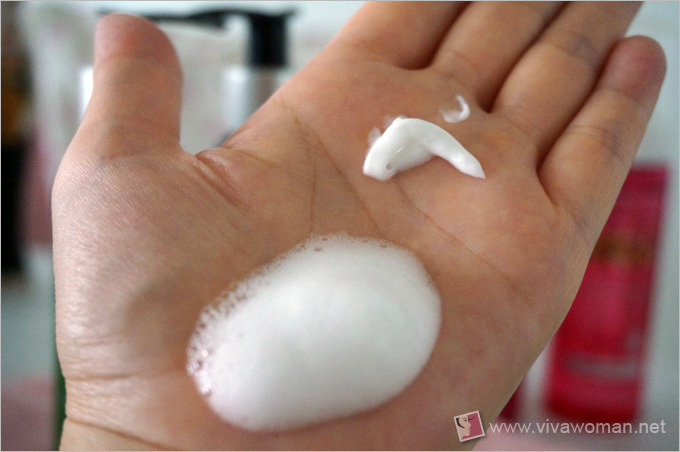 I happened to have the Rose Foam Cleanser and tested the pH. It’s quite mind…around 5.